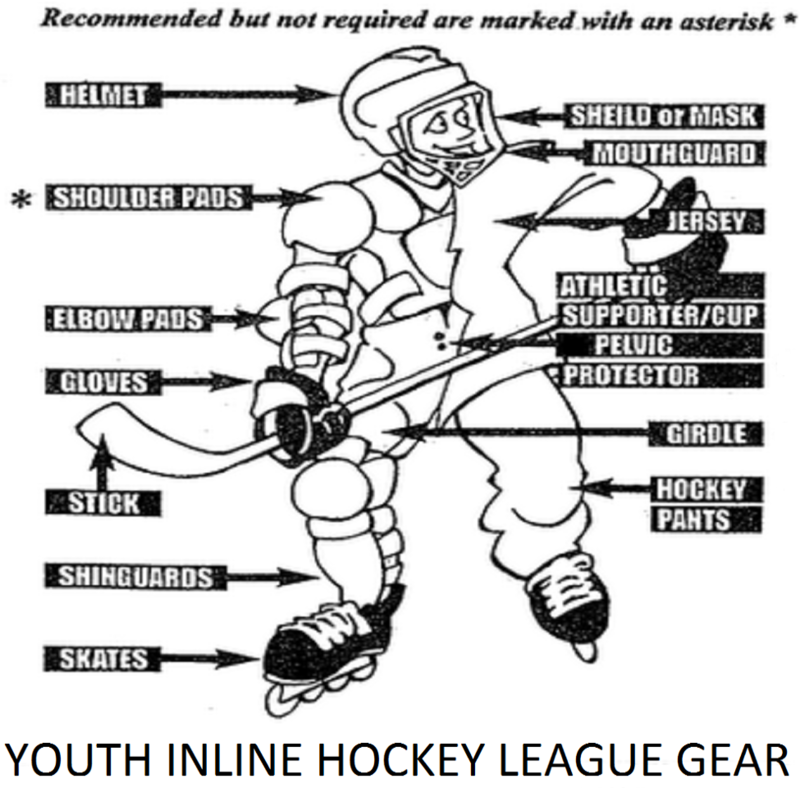 Shield or Mask : All youth under the age of 18 must wear full face protection. Gloves : Standard Ice hockey Style gloves are to be used. Girdle : A hip, tailbone and thigh pad usually built into a spandex style short. Stick : Standard Ice Hockey Style Stick " no plastic blades "
Shin Guards : Ice Hockey style Shin guards. " no soccer pads "
Skates : Hockey Style Roller Blade with indoor rated wheels " no brakes on the back "
Bag : any type of sports bag to pack all the gear into.